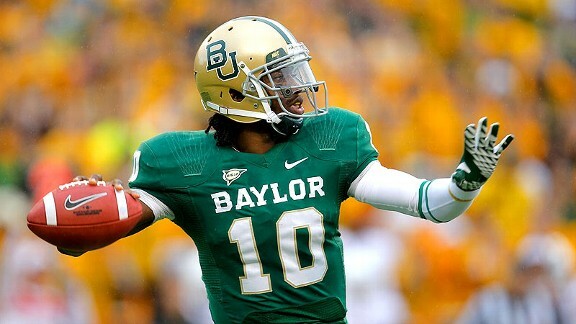 Sarah Glenn/Getty Images RG3 is the new face of EA's "NCAA Football" franchise. EA Sports announced today that Heisman Trophy winner and former Baylor quarterback Robert Griffin III will appear on the cover of "NCAA Football 13." In addition, there will be a fan vote to decide which former Heisman winner will appear on the cover alongside RG3. Voting kicks off March 12, and fans can select from eight NCAA football legends, including Marcus Allen, Doug Flutie, Eddie George, Desmond Howard, Barry Sanders, Herschel Walker, Charlie Ward, and Andre Ware. 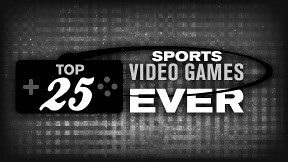 The fan vote will take place on the official EA Sports "NCAA Football 13" Facebook page.